Hi sissy’s.. here with story. Hope u’ll like it. San: wat nonsense u r talking kavita? Sanskar got up from bed. And tried to stand. But he cudnt. He holds his head from both hands. Sujata made him to sit on bed. Suj: u need rest sanskar. Take rest. Don’t stress urself. San:( holds sujata’s hand) mom pls tell me where’s my Ragini. (Looks at all) pls if u r joking then pls stop. I want to meet Ragini. Tell me where’s she? Suj: Kavita is ur wife. U both had gone for honeymoon and while coming ur car met with accident and u both got injured. San looks at Kavita. There were small injuries on her body. Ram: yes sanskar. Have u forgot everything? U came from London to marry Kavita. 2 weeks back u both got married. After 2 days u went for honeymoon. Then as suj said while coming u both met with accident. U came to conscious after 3 days. San: wat? I was unconscious for 3 days.? Then wat abt Ragini? Kav: stop this sanskar. M ur wife. There’s no any girl named Ragini. Y don’t u understand? Doctor told u to take rest. Sanskar looks at all. He didn’t understand y all behaving like this. This is not illusion. My Ragini is there. He slept due to medicine dose. When he opened his eyes he was in his home in his room. He saw Kavita sitting on chair beside him and was slept due to tiredness. He slowly got up from bed. He was shocked to see his and kavita’s pics together all over room. San shows wall. Wats this? Here mine and Ragini’s pics were there. How come urs here.? Who replaced? Kav: these pics r from first only. U only hanged it the next day of our marriage. Listening sanskar’s voice all come to his room. San: mom. Where are mine and Ragini’s pics? Those few specially u had taken and u had told u’ll make a big portrait of this. U remember na? Suj: I took urs and kavita’s pic. See there on wall. He looks big portrait of his and kavita’s. San: no here Ragini’s pic was there. Ram: atleast stop now sanskar. Wats Ragini all the time. It’s all coz of accident u behaving like this. San: u mean to say m mad? Ram: I didn’t mean that. San: angrily. Wait I’ll prove u. Our marriage album. He started to open all his cupboard and throws all things to get album. All were looking at him. He got Album. He shocked to see his and kavita’s pics. Kav: now say sanskar. Wat happened? These are proof of our marriage. Album fell from his hand. He was not understanding Wats happening. Suj: take rest beta. This accident effected on ur brain too. Kavita. Make coffee for him. Laksh comes near to him. San: atleast u tell me. Where’s Ragini? Wats this all? Lak: Bhai this is ur illusion. Kavita is our Bhabhi. U take rest. He was living in London. He came to India to get marry. Sujata does his arti. he took her blessings. Lakutt hugged him. Lak: bhai. Have u brought wat I had told. Utt: and Bhai mine too? Suj: happily. I saw a girl. Meet her u’ll definitely like her. San: oh. It means everything is already ready. U just wanted me to come. Trio nods. Just then ram comes and hugs sanskar. San take his blessings too. Ram: how’s ur work going on there? Now as we decided earlier u shud shift to India now. San: ok dad. As u all wish. He was keeping his things. Sujata enters with coffee. Suj: sanskar. If u r free can I talk with my son.? San: mom. Stop ur serial dialogues. Suj: smiles. I had saw a girl. She is an orphan. She lives in orphanage. I liked her a lot. She’s traditional, caring and loving. I thought she’s best for u. Meet her once. M not saying to agree for her only. U just meet. Remaining ur decision only final. I had talked with orphanage owner.she also agreed to meet u. Next day sanskar went to orphanage. He saw a girl playing with children. She was playing with ball. She was wearing salwar. It’s ragini. Her back was facing to him. There ball fell near sanskar. Ragini turned back. Sanskar was mesmerized to see her. She was coming to take ball. As she’s nearing to him, his heart beat was raising. She comes smilingly and took her ball and turned to go. San: hi. M sanskar maheshwari. Hearing his name Ragini stopped there only without turning back. San: I think u know abt me. And u may also know y I came here. She nods yes without turning. San smiles. San: m waiting in ur orphanage meeting room for u. Want to talk with u, Wil b waiting. Saying so he went. He sat in meeting room. San: m such an idiot. I shud not call her directly like this. Don’t know Wats she’s thinking abt me.? But seeing her I dint get words to speak. She’s very cute. Mom I love u for selecting such a nice girl for me. Now I just want to know her answer. He saw her coming. She brought tea for him. San: it’s ok no need of formalities. She sat Infront of him. She was looking down. San: sry to ask. But I don’t know ur name. San himself: wat a voice. Want to listen this for life long. San: mom wud have told u everything abt me. From my side it’s yes. I want to know ur answer. U can take ur time to think. If u want to ask any thing, u can ask. Rag: (slowly) I just want to know that wat u expect from ur wife? San: Ragini for me marriage means not only expecting anything from ur partner. It’s a journey in which husband and wife shud walk holding eachother hands together. Understanding eachother. Ha… If still u want to know means I will expect only love from my wife. Ragini blushes and goes out. San: did I tell anything wrong? Y she ran away. Did she take my words wrong? I don’t wanna loose her. He was in deep thinking,that he didn’t know the owner of orphanage was standing there. Own: sanskar. Ragini is very special daughter of this orphanage. Everyone loves her. we never made her to feel her that she’s orphan. We always wanted her to get marry with a boy who loves and take care of her. We found that in u.
San was sweating and waiting for ragini’s answer. Own: don’t wry sanskar. It’s yes from her. San smiles widely. He wanted to jump and dance. But controlled himself. 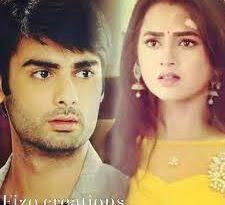 Sanskar face fell hearing but. Own: she want to marry in simple way. In temple Infront of ur parents and orphanage elders. She doesn’t want to spend money unwantedly. San: oh no. I forgot to take her mob number. How stupid I am. He reached home and saw all happy. Suj: we got to know everything. We r very happy. One more good news for u.
Suj: ur marriage is tmrw mrng. San: wat? ( He was happy inside) so soon?. Suj: pandit ji told good mahurat is tmrw. After tomorrow again it’s after eight months. I can’t wait till that. And Ragini also want simple marriage. We can do tmrw only. we started preparing. Sanskar got double happy after hearing. He goes to his room. San: excitedly. Wow. I can’t believe. Everything happening so fast. First I got love at first sight. Then she agreed for me. Now she’s going to b mine tmrw only. He was very happy. He opened door and saw all kept Thier ears to door. Suj: oh. My son is blushing. Next day at temple. All arrangements done. Ragini got ready in bridal dress. San: every second my love is increasing for her. They took pheras and he made her wear mangalsutra and filled her hair line. Pandit ji announced them as husband and wife. San: pandit ji. Yes pandit ji will tell abt Ragini. Then everyone will believe me. Hope u all liked this part? I feel gud if it’s upto ur expectations. Do likes and comments pls.